Mystic, CT – Over 50 women in science met with Mystic Aquarium guests as part of the fourth Annual Women in Science Day. Scientists, researchers and animal care professionals as well as women of achievement from the local scientific community showcased the amazing work they do in the name of science. Tables were set-up on the Aquarium’s main floor allowing each scientist to share information and host hands-on activities related to her work. The event was funded by a generous grant from the Petit Family Foundation. Highlights from the day’s events included, among other things, demonstrations by veterinarians on the use of veterinary equipment like ultrasound systems and the ‘how-to’ of animal enrichment by animal care professionals. Among the favorites was the candy DNA making station presented by UCONN Avery Point-Marine Sciences. All participants were actively engaged in Q&A with guests of all ages. Presenters from Mystic Aquarium included animal care professionals Sarah Dunn, Courtney Gill, Kathryn Justice, Patricia Maglione, Monique Park, Megan Priede, Allie Seifter, Aimee Sugrue, Kristen Waddell and curator of Marine Mammals and Birds, Laurie Macha, who was also featured in “A Day in the Life” on the Aquarium’s Twitter. Participation was in full-swing from the vet services team including the Aquarium’s Chief Clinical Veterinarian, Dr. Jen Flower, Dr. Barb Mangoldand Vet Tech Anne Gilewski along with Gayle Sirpenski and Amy Delmonaco. Mystic Aquarium’s research team got in on the action as well as Dr. Maureen Driscoll, Lillian Peccerillo, Angela James and Lisa Smiegel sharing current research projects and advancements. Dedicated Animal Rescue Program volunteers Mary Barravecchia, Shauna Bosse, Heather Bring and Jess Cebelius provided an overview of animal rescue and rehabilitation work. University of Connecticut Natural Resources Conservation Academy, University of Connecticut Avery Point Marine Science Department, Sharks4Kids, University of Rhode Island, University of Rhode Island, Graduate School of Oceanography, University of Rhode Island Plant Sciences, University of Rhode Island-Society for Women in Marine Science and others had representatives on site for the event as well. Throughout the day these outstanding women shared not only their expertise and personal stories but also their love for science. Matis hopes that by participating in Women in Science Day, children will not only learn more about the careers themselves but also about the pathways that can be taken to join the ranks of female scientists across the globe who are having real world impact in the field and in life. 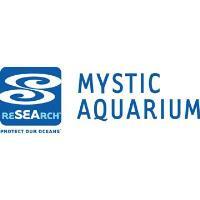 Mystic Aquarium is a leader in STEM education here in Connecticut and throughout the United States. Like much of its educational programming, Women in Science Day is aimed at fostering conservation-minded citizens and scientific leaders of the future. The event was open to the public and free with regular admission.